Search all Central Nassau Real Estate Listings in the Bahamas below! Nassau includes the bustling Downtown business district with its commercial retail spaces and professional office buildings and complexes. The harbour, home to many cruise ships and marinas is centrally located, nestled between the northern shore of New Providence and Paradise Island, creating a naturally calm boating haven. Homes and condos for sale can be found peppered throughout the Central Nassau community among the commercial real estate. Residents enjoy a great location and quick access to nearby amenities. Browse all Central Nassau real estate listings below, or keep reading about living in this beautiful community. Central Central Nassau homes for sale include single-family residences and condos. Detached properties range from older but beautifully renovated homes to traditional Bahamian houses, and even spacious estate homes with gated entrances and lush landscaping. Condos in the area offer a maintenance-free living option in a convenient location. 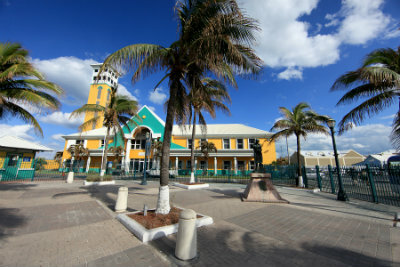 There is also a number of Bahamas commercial real estate options in Central Nassau. Buyers will find office spaces, retail store fronts, and properties perfect for a boutique hotel or guest house. Easy access to shops, restaurants, medical services, and businesses. Nearby schools include Columbus Primary, D.W. Davis Junior High, and C.R. Walker Secondary High School. Windsor Park offers open green space for outdoor enjoyment. Located in the Central Nassauarea are the Palmdale, Mackey Street and Centerville areas. Home to many local businesses, retail shops, schools and medical offices, these areas are perhaps the hub of the local economy. Residential homes and apartments are interspersed with commercial zones and offer affordable locations for those wishing to live in the centre of it all! Like the homes you see in Central Nassau? Our agents are experts on the Nassau real estate market and will be happy provide you with more information about the area or give you a tour of Central Nassau homes. Contact Dupuch Real Estate online or call 242-393-1811 today!